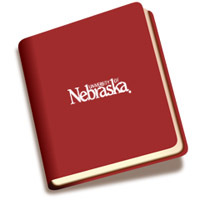 Published by University of Nebraska Center on Children, Families, and the Law. This publication was made possible by Grants No. 90C00932 and G-0001NESCIP from the Children’s Bureau, Administration on Children, Youth and Families, U.S. Department of Health and Human Services. The contents are solely the responsibility of the authors and do not represent the offi cial views or policies of the funding agency, nor does publication in any way constitute an endorsement by the funding agency.